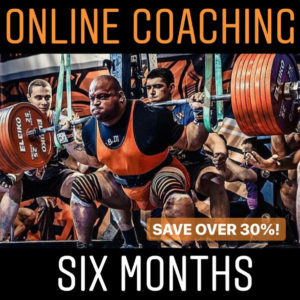 3 Months of Online Powerlifting Training and Coaching – For three months I will perfect your form and technique, provide you with a detailed workout program and recommend a nutritional plan for you tailored to your goals and what you want to achieve in the gym. 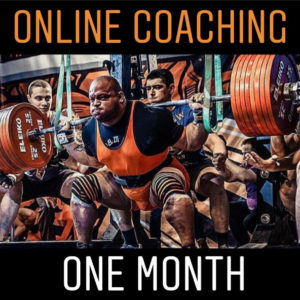 This program is ONLY for the serious powerlifter or gym goer wanting to make huge improvements and develop a solid foundation for future improvements. You can expect to meet your short term PR goals if you stick with my methodology. You MUST be committed to this 3 month program, the harder you work with me the greater your improvement will be. 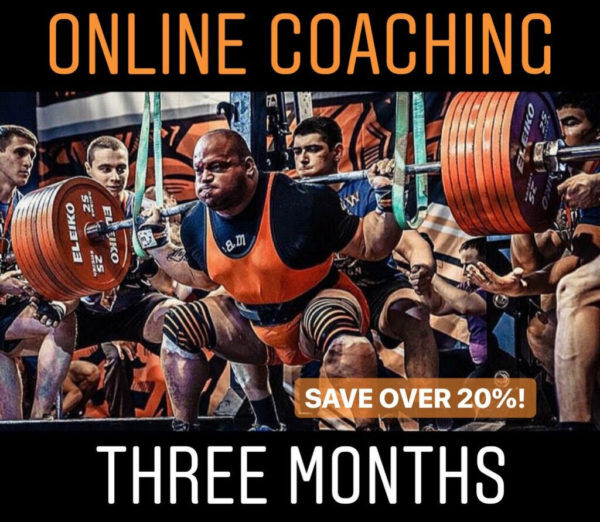 Included in your purchase is ALL 3 EBOOKS Bench Cycle, Squat Cycle, Deadlift Cycle and the Accessory Day. You will be able to access through the account you create on my website and the documents will be sent to your email address. Make sure you check your spam box if you don’t receive it.